Federal organization and creator of the National Partnership for Maternal Safety has appointed The Shane Foundation Co-Founder, Roberta Gold as one of two patient representatives. The council drives programs to improve women's health care at the national level. Funded by California Department of Public Health to develop the "Maternal Venous Thromboembolism Toolkit" for the state of California. The Shane Foundation Co-Founder, Roberta Gold was appointed to serve on the CMQCC Task Force to develop patient educational materials for the Toolkit. International organization in 94 countries focused on reducing the 1 in 4 deaths world-wide resulting from blood clots. 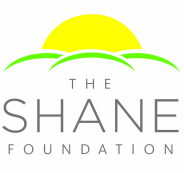 The Shane Foundation will cross-promote educational materials beginning with the World Thrombosis Day campaign, Oct 13, 2016. ​Largest national organization focused on maternal/fetal health issues - The Shane Foundation has worked with the March of Dimes to bring informational programs to perinatal professionals and developed the March of Dimes web pages on blood clots and pregnancy.